INN ANN is now open at Japan House Los Angeles. There is no shortage of Japanese restaurants and bars in Los Angeles, but there are few as authentic as the newly opened INN ANN, located inside Japan House Los Angeles. An innovative project of the Japanese Ministry of Foreign Affairs, Japan House was founded to foster awareness and appreciation for Japan by showcasing the very best of Japanese art, design, gastronomy, innovation, technology and more. Japan House Los Angeles occupies two floors in the popular Hollywood & Highland entertainment complex and brings various aspects of Japan to American and international audiences. On the second floor, the facility spans more than 6,000 sq. ft. and features an exhibition gallery, a retail space that carries an expertly curated selection of uniquely Japanese products, a small café and a sub-gallery suitable for intimate gallery talks and smaller exhibitions. The fifth-floor space spans 8,000 sq. 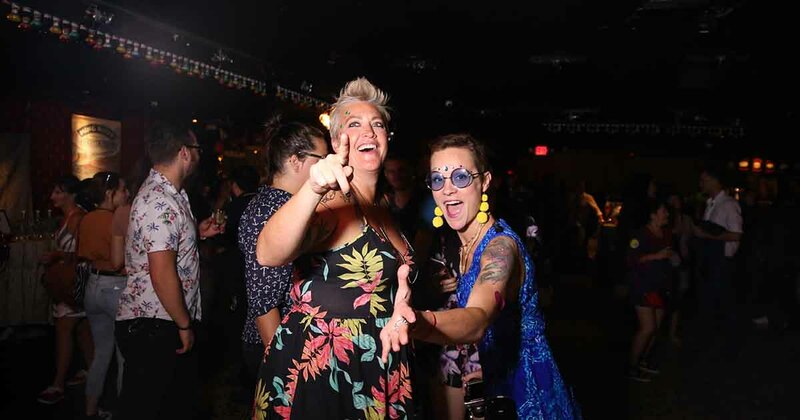 ft. and features a relaxing library, a multi-purpose event venue, spectacular views of Los Angeles and now INN ANN. 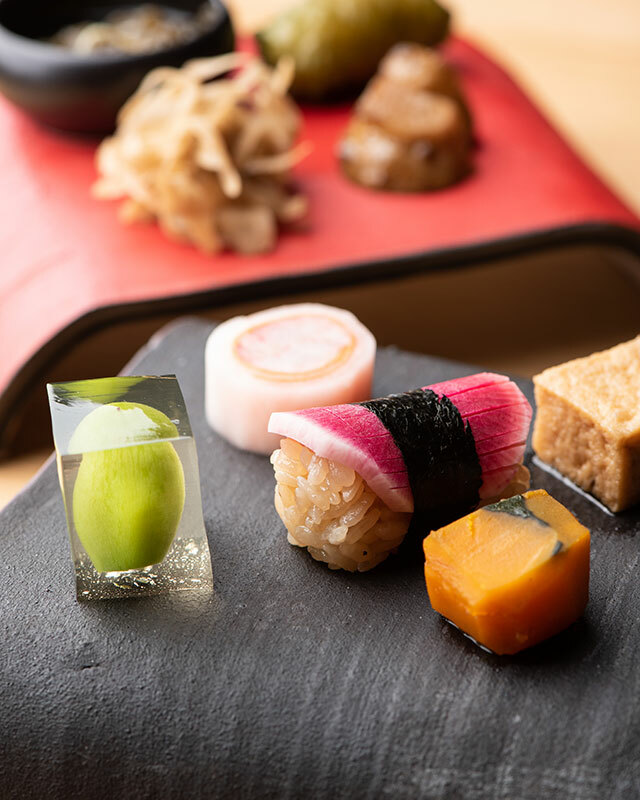 Translating to “hidden retreat,” the modern kaiseki restaurant aims to showcase Japanese culture, traditions and rich heritage through the lens of its cuisine. Staying true to its ethos, “Discover Umami,” INN ANN is a discovery for diners seeking out the “hidden” location nestled within Japan House. The opening concept of the tasting menu is overseen by Chef Taro Araki, Executive Chef for the Consul-General of Japan in Los Angeles, allowing patrons of INN ANN in its opening months to dine like foreign dignitaries and experience Japan with all five senses. 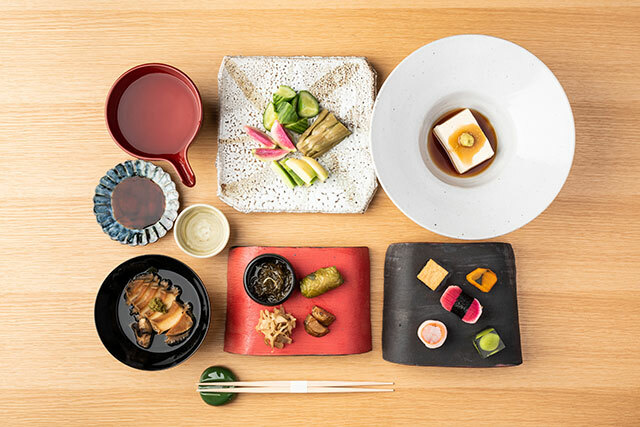 Dishes, such as Shabu Shabu, Kagoshima Wagyu Beef and Nigiri Sushi are served on Japanese porcelain Arita-Yaki plates and dishware to further enhance the experience and immerse guests in Japanese culture. 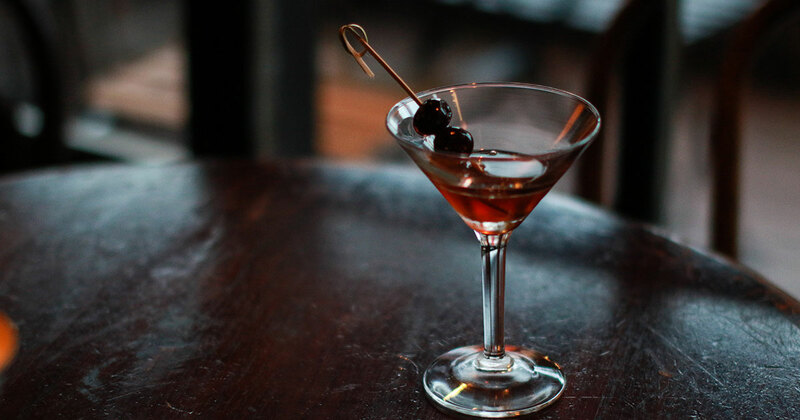 The drink menu is comprised of some of Japan’s finest spirits. There are a number of sake variations available including the Masumi Junmai, Ken DGJ, Katsuyama Ken and the Mio Sparkling Sake. There are also the Japanese Kissui Vodka and Japanese Shocu, including Ginza Suzume Barley and the ultra decadent Hama No Imota are also found here. In addition, guests will find a selection of Japanese beer, including Kirin Iciban on draft, as well as red and white wine. INN ANN also boasts a number of cocktails on its menu. The Ich-Go Ichi-E Shochu is made with yuza, lemon, macha and zarame and can be ordered with a non alcoholic option. 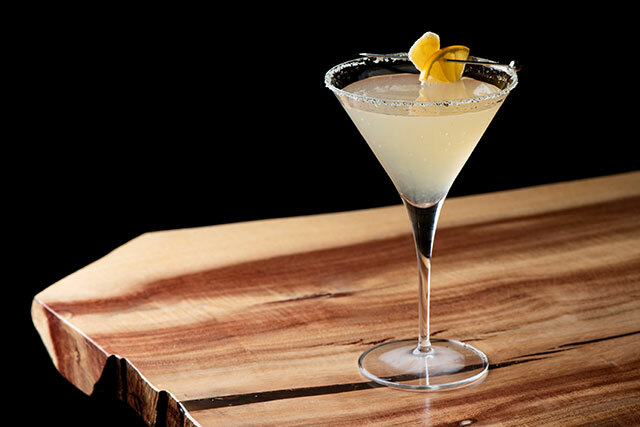 The Miyazaki Martini, think “ginger lemon drop,” is made with Aka Kirishima shochu, fresh ground ginger, fresh squeezed Meyer lemon juice and simple syrup crafted with Japanese light brown sugar. 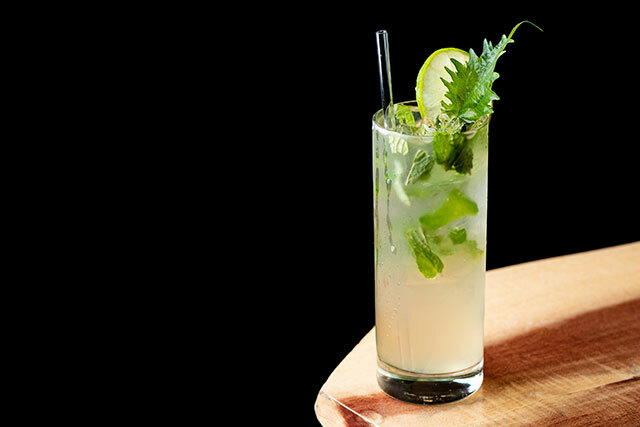 The Shiso Mojito is made with light rum, shiso leaf, house simple and soda. The Hibiscus Mule is created with a TY KU shochu base, crushed Japanese mint, local ginger beer, fresh lime, splash of hibiscus juice and garnished with a flower and a lime. The INN ANN Old Fashioned is made with Smooth Ambler Contradiction bourbon or Toki blended whiskey (from Suntori line, Osaka), yuzu peel, luxardo cherry, house simple, bitters and a splash of soda. Finally, the Yuzu Margarita is fashioned with a L.A. local favorite tequila; the Olmeca Altos plata, Yuzuri, yuzu and other citrus juices, house simple syrup then garnished with a green tea sea salt rim and a lime.